In this tutorial, you will learn to code DatePicker in android. 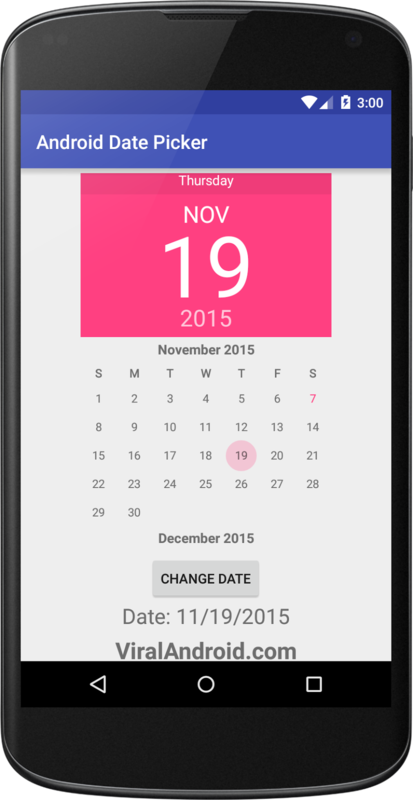 Android DatePicker allow user to pick/select date in year, month, and day. Android DatePicker is like TimePicker. To find more android UI design examples visit Android User Interface Design Tutorial. Let’s create a new android project to use DatePicker in android application and follow the following code.